We've got some exciting news for Mac users who are dying to get their hands on some new features. You can now download the Evernote 2.0 Alpha 1 for MacOS. This is a very exciting preview of some highly requested features. IMPORTANT NOTE: This is Alpha software, which means it is less stable and has a higher likelihood of corrupting your data than the Beta software that Evernote can upgrade to automatically. This Alpha incorporates some very significant under-the-hood changes. If something goes wrong, you may lose whatever you were working on and/or you may need to re-downsync your entire account database. We do not recommend trying this Alpha unless you are comfortable experimenting with Alpha software and are willing to deal with the potential frustration. For these reasons, we request that users refrain from promoting the Alpha outside of the Evernote Forum at this time. The source list, or left panel, has been completely redesigned to better display large numbers of notebooks, tags and saved searches--great for our power users. You can now collapse, expand and resize individual sections. Double click on the heading or click the triangle to open and close the section, or drag the bar to resize it. Additionally, using the gear icon at the bottom of the source list, you can completely add and remove individual sections. This is great if you infrequently use features like Attributes. For some time now our users have asked that we develop a way to organize notebooks. The majority of our users rely on Evernote for both their work and personal lives, and were looking for a way to separate their notebooks accordingly. We've come up with a great solution. They're called Notebook Stacks. Stacks are just what they sound like, groups of notebooks that you can pile together. Stacks let you search across several notebooks all at once. Also, by collapsing the stacks you're not using you get more space for your tags without scrolling--especially useful when used together with the Hide Unassigned Tags feature. To create a Stack, just take one of your notebooks and drag it onto another notebook. Or right-click and select "Add to Stack..."
Your Stacks are synchronized across all your devices. Right now, you can only see them on the Mac, but we're keeping the information in sync everywhere, so when the feature is added to other clients your Stacks will show up there, too. You can now access and sync shared notebooks from within Evernote for Mac. We've added a new Sharing tab at the top of the source list (left panel). Click on Shared to see all the linked notebooks that you have in your account. Don't have any linked notebooks in your account yet? The current process of sharing your notebooks with others and linking other people's shared notebooks into your account is pretty clunky and requires a trip to your web browser. We'll be significantly revising this aspect of the experience before this Alpha version goes into Beta. For now, to share a notebook, right click on one of your existing notebooks, select "Notebook settings..." then click the link for "Sharing and collaboration options". There's a fairly long migration process. Once the migration complete you should be ready to go. Please come back to the forum periodically for updates. We may have several Alpha releases before we publish a public beta. Just kidding of course, but it is incredible timing. I can't wait to D/L and start testing. [*:2qhfsnhn]Can you have two Notebooks with the same name that are in different stacks? [*:2qhfsnhn]Are we still limited to 100 notebooks? Congrats on having a new version ready. Have downloaded and installed, and look forward to seeing how it goes. Searches seem faster. Ought they to be, or is this my imagination? Can you have two Notebooks with the same name that are in different stacks? JMU: notebook names must still be unique, it seems. But stacks are renameable. Can you add a good 'reading' feature too? +1 : Full screen reading/editing is a must. I am taking the brave step - I'm also sure that the EN people would rather that we post issues with this version in here rather than make feature requests. Upgraded my non-production machine - looks great! Thank God for notebook stacks! Yipee! I have one small suggestion - not sure if I should post it here, or in the bug tracker since it's not formally a bug. I think it would help to use a different color for Notebook stacks, even if it's just a slight difference in shade, so you can tell at a glance whether you're looking at a lone notebook or a notebook stack when scrolling down the list. The disclosure triangle is visually too subtle. Thanks for the feedback. We've experimented different ways with the icons and whatnot in that panel. We're always afraid to make the interface look like "angry fruit salad", but perhaps the visual indicators (slightly different icon) are too subtle. Looks good so far. The configurable left pane is a great improvement. I've submitted a minor bug, but stability and speed seem good. Could anyone post a screenshot of the Stacks feature? I'm wary of upgrading to alpha versions for software nowadays. Converted over a 5000-plus note database yesterday and so far things are going well. Could just be my imagination, but start-up seems faster. Filed one minor bug but no disastrous crashes so far. I'm loving the better configurability of the left-hand pane and the stacks. Hopefully better organization tools will let me dump Read It Later and Starred posts in Google Reader, and just route everything into Evernote. The synchronized Shared Notebooks is going to be huge for Evernote. Upgraded from the latest Mac version without problems. I can understand the concern. But at the same time, if you look at the direction Apple went with iTunes 10, I think they took it too far and nearly every review I've read thinks it's a turn for the worse. Previously, Apps, Movies, TV Shows, Podcasts, Audiobooks, Playlists, Playlist folders etc. all had different colors. It made it really simple to jump to that section without having to look closely at the icon or read the label. Now in version 10, everything is grey. Not great for usability. What I envisioned was something very simple, a color density change for notebooks stacks, so you could see at a glance whether you're looking at a treetop or an individual notebook. See below. Also, I take it stacks can't be stacked? So these stacks can't be nested? A pity if this is how it works in the final release, but still, I'm not about to look a gift horse in the mouth. This is already a massive step forward in usability!
. . . But at the same time, if you look at the direction Apple went with iTunes 10, I think they took it too far and nearly every review I've read thinks it's a turn for the worse. . . . Now in version 10, everything is grey. Not great for usability. What I envisioned was something very simple, a color density change for notebooks stacks, so you could see at a glance whether you're looking at a treetop or an individual notebook. . . I agree that a "Stack" is hard to visually identify. Perhaps both a different color and an icon that looks like a stack of NB. Correct, stacks are flat (no stacks of stacks). Colors in the Notebooks section are already used to indicate different state for the same types of objects: local (blue) notebooks, synced (green) notebooks, conflicting (gray) notebooks. It makes sense that if new colors are introduced, they are used to indicate states too, not different kinds of objects. Also, if you have a long list of notebooks, you will only notice the color tone difference if you see a stack and a notebook at the same time (color tone differences are very hard to detect without both tones appearing at the same time). At that point, the indentation already tells you which is which. That said, I found the notebook and stack icon shapes too similar, and had the same problem of confusing them. Since the stack icon looks so much like a normal notebook icon, I even (wrongfully) assumed stacks would have notebook-like behavior, such as containing notes. They probably use 3 papers instead of 2 because they use this icon to differentiate between dragging 1 and dragging multiple files. Using 3 items makes the icon a wide rectangle instead of a tall rectangle, which is a more significant shape difference and easier to identify than the current "tall rectangle vs. a bit wider tall rectangle". Shape differences are very good for quick identification of things, so I think that his would do the trick. (I believe that is why shape is used to transmit the quick-reaction-critical message in traffic signs: STOP, YIELD, DON'T ENTER, INFO, while color is more of a secondary "degree of criticalness" message). How do we install the Mac 2.0 Alpha Safari Web Clipper? thbarnes - 2.0 will still be 32-bit. JMUnderwood11 - If you replaced the old version of Evernote with the new one, when you install it, the Safari clipper should be installed automatically. You may need to try a reboot, however. ... I think stacking notes would be a better idea than stacking notebooks. Usually projects, files, etc need to be grouped together but this task usually is "fixed" through tagging the notes. Not exactly the best solution, works, but stacks would be better implemented there though. I like the old notebook icon better though; more gentle, less garish. Probably my mistake. I overlooked the very small grey elephant logo. I think my eye was looking for something green. The instructions say a removal of the existing (released) Evernote software is required - is this *really* required or can the two peacefully co-exist in different locations? I don't use Safari so the web clipper isn't important to me (and I use Firefox 4b6 for most browsing with Firefox 3 as a backup). Can I safely use the two side-by side otherwise or will they trample on each others' settings/prefs/libraries? The preferences and data for Evernote is stored in a single location within your home directory (under: Library / Application Support). Two copies of the software definitely can't run safely on the same machine at the same time, since they would access the same files in an unsafe way. The new version may also make changes to the database layout that wouldn't be guaranteed to be backward compatible with the old version. So it might be possible to do this if you were extraordinarily careful, but I don't think it would be a good idea. I know -- and understand why -- you guys aren't big on sharing timelines, but I'm going to ask anyway. Any idea how quickly this would turn into a beta? Here's my situation: the teachers in my school are starting to use Evernote, but we can't manually update the programs on our computers. Our IT department has to push out software updates. As Evernote is a program that we all use, our IT pushes it to all of us at the same time. My IT guy is a little leery of pushing an alpha product to everyone, though. So, I haven't seen a ton of bug reports meaning it seems pretty stable for everyday use. Am I right about that? I just installed the Mac 2.0 alpha on a suggestion from Arish at User Support after I queried when - if ever - the tables issues will get fixed. I must admit I'm really disappointed. Making it prettier is great, but largely irrelevant to me, the one thing that makes Evernote so frustrating that I'm seriously considering dropping my Premium subscription and going back to basic and trying other note/list/clipping software is the lack of support for basic editing functions in Tables. 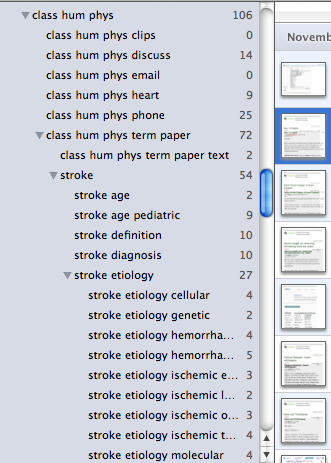 Please please put decent management of tables into Evernote, for anyone who works with lists that way e.g. a table of who to call and why ... not being able to edit them makes them completely non-functional. We're still cleaning up some of the sharing stuff in the client (especially the process for sharing a notebook). Just a note to say that converting my notebooks to the Mac Version 2 Alpha lost the URLs on every note! Can I add my voice to the many Evernote fans who are amazed that every revision to the Mac version fails to address its many text formatting issues. Lack of table editing, weird font sizes, non-functioning font drop-downs, and inconsistency across platforms are all still present in this alpha version. Complaints on this forum and bug reports date back literally years. All are handled with great politeness by Evernote, and all remain unresolved. Like the earlier post, I also much prefer the subtler shades of the original notebook icons. Surely these icons should be consistent with the design of the 'All Notes' toolbar button? The new 'Account' and 'Shared' buttons are similarly unsubtle. It always seems to me that Evernote's new UI elements are designed on an ad-hoc basis by the development team, rather than by an interface designer. Another glaring example is the icon next to the URL field in the recently much improved 'Note Info' panel. Is that supposed to be a globe? Can you please clarify which URLs you're talking about? Do you mean the "source URL" for clipped web pages in the header of the note, or do you have URLs typed in the body of a note, and those disappeared from within the body? "Source URL" for clipped web. I have this problem too. After downgrade URL's appear. I've confirmed this problem, thanks for the report. If you check one of these notes on the web (without editing it at all on the Mac), you should still see the source URL there. So I'd recommend that you don't edit any of your existing web clips from the Mac client. We'll fix this in the next update, and that may require a clean down-sync to get the source URLs back into the notes. Yes, we use a certain amount of third party libraries and code. Creating and testing (including regression testing) both binaries would add a fair amount of work for virtually no perceivable value to any users. We'd prefer to put that work into things that users will actually notice, like shared notebooks in the clients, stacks to organize your notebooks, etc. Please fix the Web Clipper for Safari. It often save text form web pages with wrong font family and font size. However, bookmarklet "Clip to Evernote" do it perfect. For example, when I highlighting content text without title on this page — http://snupt.com/?p=2389 — through Clipper for Safari it change original Arial 13 font to Times 13. Found a bug. In the sidebar, as long as the Tags section is shown, I can not click on any other section. The triangles next to the sections that open and collapse the sections will not work. If Tags is showing, It is always in the Open State. If I hide the Tags section with the gear icon at the bottom of the sidebar, then all other sections work fine Opening and Collapsing, but as long as the Tags section is visible, it is always Opened and forces all other sections closed. So, when the Tags section is showing, ALL triangle icons of ALL sections refuse to work. I have deleted the Evernote App and redownloaded a new copy, I have deleted my data folder and re-synced from online, but no luck. As long as the Tags section is visible, the whole side bar is unusable, although clicking on individual tags works fine, I just cant access anything else in the sidebar while the Tags section is visible. UPDATE: Ok, the Tags section definitely has problems. I have been dinking around by hiding and unhiding different sections, and after a few combinations, the Triangles started working again while the Tags section was showing, so I thought it was all fixed. But no such luck. The triangles work intermittently and at least 50% of the time, when the Tags section is Open and the Notebooks section is closed, clicking the triangle next to the Notebooks opens the Notebooks section for a split second but then the tags section redraws itself on the screen real quick and closes the Notebooks section. All of my problems have only involved the Tags section. Every other section works perfectly as long as the Tags section is not visible. Could you provide a screen shot that shows the relevant region of the tag panel when you see a problem? We'd like to try to reproduce this with a similar structure to yours. First of all, thank you for sharing this early alpha so we can get a glimpse of whats to come - But i have some feedback to share. I like that the ability to nest notebooks has finally come, but what i don't understand is why it seems you keep fighting implementing a basic and simple parent/child structure - Stacks are flat as you said yourself. A basic parent/child structure could easily be implemented both in your databases and in the client. From er usability standpoint i think the nesting implementation is a bit flawed atm. When people think of notebooks they usually think of a book which contains a number of sections which again contains a number of pages/notes. In that regard it would make much better sense to keep notebooks as the top layer and then to a specific notebook add sections/chapters or whatever you want to call them - And below them you can have notes. If you would stop fighting a basic parent/child structure you could take this further by having Stacks -> Notebooks -> Sections/Chapters -> Notes - Giving people a LOT of control of how they structure their information. The amount of data required in a database to handle such nesting is EXTREMELY small - We're talking less than 20-30 bytes to contain a 5+ layer nesting. Implementing a parent/child structure in a single database table with 5 million users can make it grow to quite a large number of rows but even a database with 200+ million rows is fairly easy to handle and optimize for a decent DB admin - But even if that would be the issue you could break away from the single table design and have notebooks in one table and then link that table to another table which contains sections/chapters which again could link to the note table etc. Many ways of achieving it without any difficulty at all - Both in regards to the actual programming as well as the DB design. Another reason that your hardcoded stacking approach isn't optimal is with the sharing. I love that you're implementing sharing but you're doing it on the wrong level. Sharing should be implemented atleast at the top level. I'll give you a real life example. For me it would make perfect sense that "Project X" is the notebook and that inspiration, requirements etc. are sections in that notebook - But if i want to share the entire project with other employees then i can't share "Project X" with your notebook sharing system - I would have to share each sub-level individually which is impractical. In real life some sections actually have more than one sublevel - For instance my "Competitors" section is divided into "Primary" and "Secondary" levels a long with a few others - That structure is impossible to implement in your new system, but is easily doable in a regular parent/child structure. It's much easier to do it right now, than it is to implement a bad hardcoded structure and then try to change it later. And if you would then add sharing on at least the two top-levels you would give people are great deal of control over whether they share an entire "project" or maybe just a specific part of a project. I'm sorry if I'm putting words in your mouth, but it really seems that you have a deep resistance towards implementing a basic parent/child structure - Why is that? As a software developer with more than 12 years of experience i know for a fact that such a structure is very very easy to implement. Why not implement it and give your users the ability to structure information the way they want instead of fighting it? Implementing a hardcoded two layer structure is actually a very bad idea from a development standpoint - Not only does it limit the options for your users but it also very much limits you if you want to extend that structure in the future - But even if you insist on a hardcoded structure - At least give us three layers - Stacks -> Notebooks -> Sections - Three layers where the two top layers can be shared. With this approach i would expect almost every user to be satisfied with the options to structure data. If you're interested i suggest you search for some of the research that has been done on both user file-storage and in the human minds way of connecting information. I remember reading a whitepaper about enterprise file-storage and that a very large majority of users would rarely have folders deeper than three levels But two and three levels were very common. And you can't ignore the fact that the human mind loves to nest things - Almost everything is nested - It's a way to break down large amounts of data into sizes that the mind and memory can easily handle. I would highly suggest that you start looking at the huge amount of suggestions and requests that you have gotten in the forums over the last few years and that you look closer at good usability design. The interface of the application could also use some work - It's fairly good but stuff like icons etc. could use some work. On another note, isn't it about time you either raise the upload limit on premium accounts or completely remove it? That is probably the most requested "feature" by looking at the forums and blog comments. You even made a blog post 7 months ago where you said that you where looking at doing just this, but nothing has been said or done since then. In general a bit more focus on actually listening to your users and making your applications a bit more solid would be prefered over trying to create version for every single platform in existence. It would be much better to concentrate on windows/mac, iOS and Android and then make those applications VERY solid, than trying to look at blackberry, palm, linux and all kinds of other small platforms. As an example on what I'm referring to - The mac version has been plauged by quite a number of bugs - Some which have been reported almost since the first release of the software and yet it still haven't been fixed. That combined with the fact that you seem to fight a nested approach that people request and you still haven't done anything about the upload limit, gives an impression that you don't care much for your users - Thats sad because it didn't start like that but it shouldn't be necessary to remind you that you make a tool to help users solve a problem - Do that job well and you end up with a huge success on your hands - 5 million users gives an indication of you being on the right track, but a look at the daily users and the premium accounts give an indication of you not hitting the nail completely on the head yet. We want to keep the design simpler to handle the 98% case, since more complicated organizational schemes are already supported via tags. Implementing arbitrary containment hierarchies is complicated with a bidirectional synchronization protocol is a bit complicated, especially since we're not willing to hold this feature for another year until all clients can add it on the same date. I love all of what you wrote, but the above really nails it for me. I love this product, and want to stick with it, but am frustrated for exactly the reasons you state. Focusing on the important platforms is key rather than spreading resources too thin. I agree that the raw number of users does not tell the whole story either. I'm a premium subscriber, but on the edge of not re-subscribing unless some of these fundamentals are fixed. I would think retaining paying subscribers would be of the utmost importance to the company, rather than having to constantly chase new ones. I've been using the alpha version on one of my two computers for about a week now and have not had any problems. In fact, it seems as stable - if not more - than the old version. I never fully understood the demand for folders but now that I have access to "stacks" on mac 2.0 alpha, I must confess that they're extremely useful. Over time, perhaps another layer or two could be added - but I don't see the need for an infinite number of layers. If that's how you organize your data/information/knowledge, use idisk or dropbox, not EN. The improved sharing option is enormously helpful and has given me the confidence to recommend evernote to more users. It's a real game changer, in my view, if you can implement this function well. I will add my vote to the people who have asked for improved text editing. I use evernote on mac and ipad (and to a lesser degree iphone) and the inconsistent formatting (both mac and ipad), and inability to edit/create rich text notes on the ipad are a tremendous source on frustration. Not enough to make me abandon EN. But now that sharing has been improved, I think formatting should move into its place as the #1 priority. PS Many thanks for a great product. Now, please find a way to let your premium subscribers buy stock in company pre-IPO. You have a very loyal base who clearly see the value of what you do. Let me know if you guys need an iOS beta or alpha tester for a version with shared notebooks. I would be willing. Yes, this version has shared notebooks within the client, so we'd love to have people test it. We plan to release another alpha update soon (early next week) if you wanted to wait for that. We plan to release another alpha update soon (early next week) if you wanted to wait for that. Looking great am super happy. Also the stacks. How do I know if someone modified/added or did anything with my or his/hers shared notebook? I'll stand in line with the people who would like a bit more solid text editing in Evernote. One of the things i use Evernote for is saving snippets of code and when i paste a chunk of code into Evernote it completely removes all tabs that i used to indent and structure my code with, which makes it very hard to read. I would like Evernote to actually keep the formatting of things you paste into it. Pasting something into Evernote and then having to spend a few minutes to format it as the source is a waste of time. @terra72 - I'm not saying the we actually NEED infite layers but as soon as you're trying to structure something that is a bit more complex than a shoppinglist or a small todo list then being able to at least go 3-4 layers deep is very very helpful. Working on a larger project which consist of hundreds and hundreds of notes/documents will be a nightmare to manage in just one or two layers - And when implementing a recursive tree structure is quite easy both in regards to storage as well as userinterface, then i don't see much point for not giving that option. I'm not saying everybody needs more than the current "Stacks->Notebooks", but I know from myself and a lot of the posts in the forum that quite a number of people are using Evernote to structure fairly complicated sets of data which needs 3+ layers to handle in a decent way. Sugesting iDisk or dropbox is not a solution - You're comparing apples and airplanes - Dropbox is for FILE storage while Evernote is for text/notes primarily - It's two completely different things. The lack of subnotebooks has forced me into using tag trees as a means of filing (something I almost never did with any software application before). Now that I am using them, I actually prefer them for the obvious flexibility of using multiple tags per note. I mean a tag set is just like a subnotebook in a way, in that only those items tagged show up within the notebook. The notebook just ends up being a constraint at times, and filtering by tags with the All Notebooks folder selected often gives me the best way of finding my notes. Other times the constraint of the individual notebook selection helps in the drill down. Assigning multiple tags to make the note part of multiple sets is more flexible than stashing items in a notebook alone. This is not to suggest that users who want more notebook options don't use tags. I'm only pointing out my newfound love of tags for filing. Relevant to this and the tag issue, my system of tags may quickly lead me to exceed the 500 limit on those. The last thing any power user wants to run into is a ceiling constraining the way in which he or she works, especially if this ceiling gets bumped into far down the the road. For example, I already hit the 100 saved search limit and had to go back and reconfigure my use of them, costing me a couple of hours of time. What will happen if I hit the 500 tag limit? No more tags? Remove tags from existing notes to free up slots for new tags? (How do I file the now untagged notes... I only have 100 notebooks... and how long will it take me to orchestrate a new filing scheme?) Could be a nightmare. The further down the road we are, the more time-consuming it becomes to have to rethink our use of a functional limit. IMHO, this places an unnecessary resource burden and distraction on the user. We should be unfettered in our use of these functions—free to implement them at will without anxiety over the consequences of hitting a limit. But for now, please consider either increasing the synced notebook limit to 500, or a 100 stack limit with unlimited notebooks within them. Any chance the new version has the feature to create a unique link to a specific note? I would love to open up or go to a specific note from another program, or create a shortcut to it using a global macro. What will happen if I hit the 500 tag limit? The tag limit is 10,000, I believe. Well, that's still way too low. No problem. I think that Dave Engberg has talked elsewhere about the 100 notebook limit being set somewhat arbitrarily, and that eventually they'll raise it. I couldn't find the post, where he talks about this, though. No, the 2.0 client includes two big features that have been commonly requested (shared notebooks in the client and stacks to organize your notebooks), but doesn't include "note links" yet. I would love to see note links. 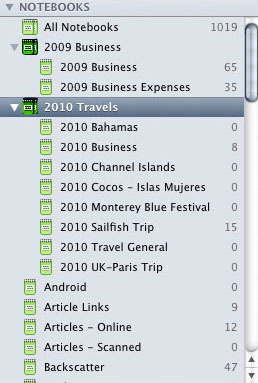 Would make Evernote a much more useful 'reference' tool for gtd systems. huib - If you log in to your account on the web, do you see the same duplicates there? PRINTING NOTEBOOKS & NOTES -- Could some printing improvements be added to the Mac 2.0 Alpha version? Here's what I mean. I've created several notebooks and notes within the notebooks. The problem is when I try to print any one of the notes (print then preview) it shows the note content but NOT the date created or any other identifying information. This greatly limits the usefulness of Evernote. (I guess the windows version of EN automatically prints outs the Note title, date created and updated, etc. which is what is needed in the Mac version). to do that without having to manually print each note? Thanks for considering these requests! When I double click a note and i'd like to customize the toolbar ("icon only" and "use small size"), close the note and reopening it, this setting is not saved. Ditto here. Dave, I hope this new version starts on the road to implement this functionality. Creating local links via the filesystem doesn't work well because the underlying file objects are subject to change, and it's not possible to obtain and reference URLs for individual notes (at least for non-shared folders); if there's some work under the hood that would overcome these obstacles it would be appreciated. Thanks! Today's 2.0 beta1 hasn't fixed this (at least in my case). Should I be moving my local database aside and resyncing from scratch? To answer my own question: I tried it, and, yes, the old note urls are back. I do notice that my newly-downloaded Evernote data folder is about 1/3 the size of the old one. Presumably some sort of cruft builds up over time. Should you perhaps consider some kind of clean-up/compact utility, or should we just re-download our data directories from time to time? I think this wasn't a "gradual cruft" issue, but rather a specific bug in the database migration code in the 2.0 Alpha. If you don't have any local-only notebooks, it's basically ok to rebuild your local database from a fresh sync whenever you want, but this can be a bit time consuming (and bandwidth-heavy), so we'd hope this wouldn't be generally required. I notice significantly smaller resulting databases (on two Macs) whenever I do a fresh sync (even pre-alpha 2). I love that you're implementing sharing but you're doing it on the wrong level. Sharing should be implemented atleast at the top level. I'll give you a real life example. I agree. I am writing my dissertation and would love to share a stack and indicate which notebooks in the stack I would like to share with a particular person instead of having to sharing from the notebook level. If I organize a stack with all my dissertation subtopics that contain notes - then I could share the stack with my advisor and also have the flexibility to just share notebooks with other researchers for input if I want. Flexibility is key here. Any idea on when this might be considered? 1. The sidebar doesn't stay 'organised' when I quit and then restart the application. For example, I have the Tags section closed and and just a couple of saved searches - the rest of the space is my Notebook structure (I know I still like folders!!). When I close and restart the app, Notebooks, Tags and Saved Searches are all expanded. 2. If the EN app goes into the background (ie: I use another app or two) and then I click on the EN dock icon EN does not always come back. I have to click and hold (Expose) on the dock icon and then I can select the app window. #1 - I've filed a feature request to remember the layout of the left column in the main UI. #2 is a bug ... it used to work this way, but there was a "regression" on this feature. Thanks Dave - there is some other strange behaviour when using EN on a second screen and bringing the focus back to it, which may be related to your nicely regressed 'feature'. Unfortunately, every time it has happened to me I've been on the phone or in the middle of something and so haven't had a chance to reproduce. If I can figure it out I'll add it to this thread. Please make it possible to share a stack! Any reasonably complex project with several contributors would benefit from shared stacks. We're planning an international whitewater kayak expedition. Evernote helps us to keep track but also to compile files for later presentations to sponsors, funding bodies, collaborators and lectures. +1 for sharing a stack. It seems crazy to have to individually have to share the notebooks within a stack. The EN Mac 2.0 client has been out of Alpha for quite some time now. It is currently on production version 2.0.5. I wonder if this thread should be locked since it is now in production. Good idea, locking. If anyone has any new Mac client topics to discuss, feel free to open a new thread.